San Francisco, CA, October 5, 2011 – VIZ Media, LLC (VIZ Media), the largest distributor and licensor of anime and manga in North America, has announced a packed schedule of events, panel discussions, promotional giveaways, theatrical film premieres, and rare guest appearances for the 2011 New York Comic Con, taking place at the Jacob Javits Convention Center in New York City, October 13th – 16th. VIZ Media will be located in Booth 932. The annual New York Comic Con is the largest gathering on the East Coast dedicated to comics, graphic novels, anime, manga, video games, toys, movies, and television. Complete details on New York Comic Con is available at: www.newyorkcomiccon.com. Digital technology and distribution has forever changed the way fans read and purchase manga, and VIZ Media will showcase its industry-leading VIZ Manga App for the Apple iPad™, iPhone™ and iPod™ touch in a fun interactive demo as well as its online manga web portal at VIZManga.com. VIZ Manga currently features more than 40 popular manga series and over 400 volumes. This year, VIZ Media is proud to welcome Junko Takeuchi, the Japanese voice of Naruto, who will participate in a special NARUTO SHIPPUDEN panel discussion on Friday, October 14th from 1:15pm to 2:15pm in Room 1A22. Come welcome the actress for her first-ever U.S. appearance, and hear her experiences performing the voice for the world’s most popular ninja! VIZ Media will excite NARUTO SHIPPUDEN fans even more with a special U.S. theatrical premiere of the latest action-packed feature film. 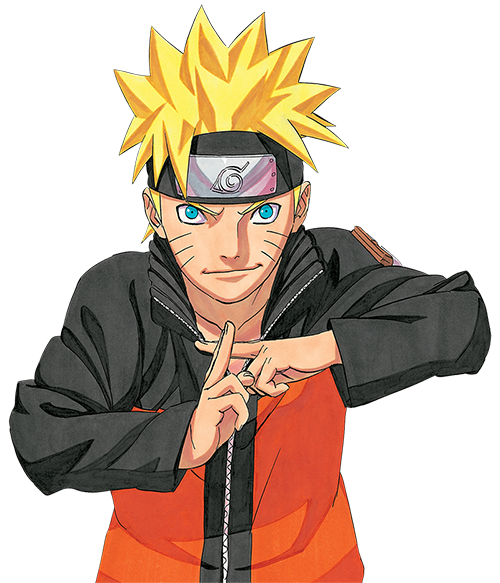 The NARUTO SHIPPUDEN THE MOVIE: BONDS event will be on Saturday, October 15th at 6:00pm at the School of Visual Arts Theatre (SVA), located near the Javits Convention Center at 333 West 23rd Street. Join Junko Takeuchi to celebrate the U.S. premiere of this exciting new film. Check a posted schedule at the VIZ Media booth for designated times for free ticket giveaways! All fans that attend the premiere will receive a special Heroes of Anime gift bag that includes the new NARUTO SHIPPUDEN™: Ultimate Ninja Impact™ PSP video game from Namco Bandai Games of America (released on October 18th), in addition to other fun NARUTO collectibles. VIZ Media is pleased to welcome Masayuki Ozaki of Sunrise, the co-creator and Executive Producer of the hit anime TIGER & BUNNY, currently streaming on VIZAnime.com. He will participate in a can’t-miss TIGER & BUNNY panel discussion, taking place on Sunday, October 16th from 1:15pm to 2:15pm in Room 1A03. VIZ Media also welcomes VOLTRON FORCE head writer Brian Smith, and two of the lead artists, Jacob Chabot (Vol. 1) and Dario Brizuela (Vol. 3) from the upcoming graphic novel series for an in-person booth appearance and signing session at on Saturday October 15th & Sunday October 16th at 3PM. Fans can hear exciting updates about the company’s upcoming releases, as well as get the scoop on groundbreaking new projects at the VIZ Media Panel, set for Sunday, October 16th from 10:45am to 11:45am in Room 1A23. New York Comic Con visitors are also invited to sample VIZ Media’s ART FOR HOPE, a special limited edition digital art book anthology to be sold through the VIZ Manga App and VIZManga.com, with 100% of net proceeds supporting ongoing disaster relief efforts in Japan. Attendees can receive a limited edition ART FOR HOPE preview poster, available for a suggested minimum donation of $5, with all proceeds benefitting Architecture for Humanity. Finally, don’t miss special product giveaways at the VIZ Media booth, including a special collectable 25th Anniversary tote bag, NARUTO SHIPPUDEN temporary tattoos, SHONEN JUMP screen wipes, and on Sunday, VIZ Kids Day, MAMESHIBA headbands, VIZ Kids manga samplers and full color posters featuring VOLTRON FORCE and MAMESHIBA.